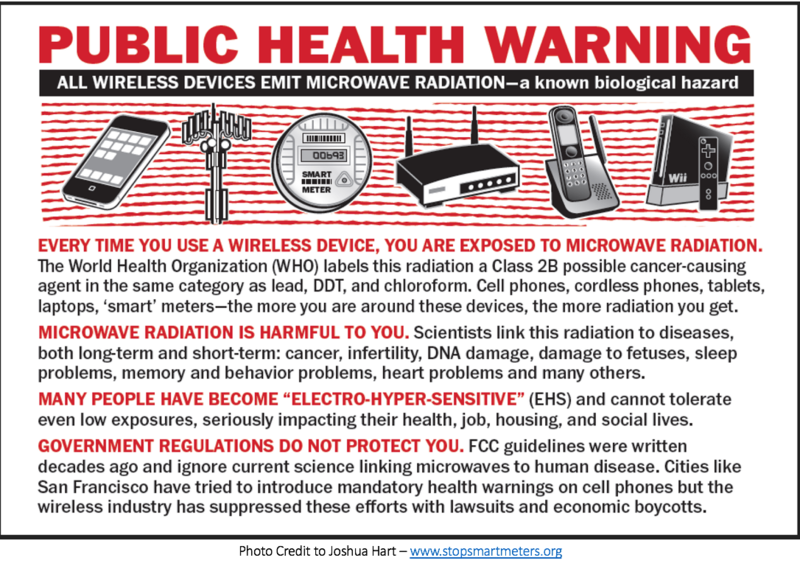 For 2 years we have been trying to educate the school board and the community on the link between the cell tower (Wimax) next to the classrooms and the possible health effects. Yesterday 200 students (out of 300) did not attend school as a protest against the tower. Last night’s school board meeting was over capacity. Please listen to the comments from the School Board. They use the industry mantras- saying it is perfectly safe BUT they are talking to the carrier about moving it. The parents’ passionate pleas are excellent and an industry engineer ((a parent there) spoke quite well. How sad that the teachers have been instructed to tell the children it is safe- contradicting their own parents. Lloyd Morgan, Eric Windheim, Camilla Rees and I have tried helping the community – and they have come together. However we also tried educating the School Board and their behavior is appalling. They are 10 years into a 25 year contract which they renewed after knowing a few children were ill.
WE WANT THE TOWER MOVED TO A LESS INTRUSIVE LOCATION ASAP. NOTHING ELSE IS ACCEPTABLE. THE SCHOOL BOARD EVEN ADMITS THAT THE MONEY IS NOT IMPORTANT! Please also see here for more info on this situation.